Vindelfjällen - Swedens largest nature reserve and also one of the largest conservation areas in the whole Europe. The reserve was founded in 1974 and expanded in 1988. The Swedish state owns almost all land in the reserve, an area of 560 000 hectares. 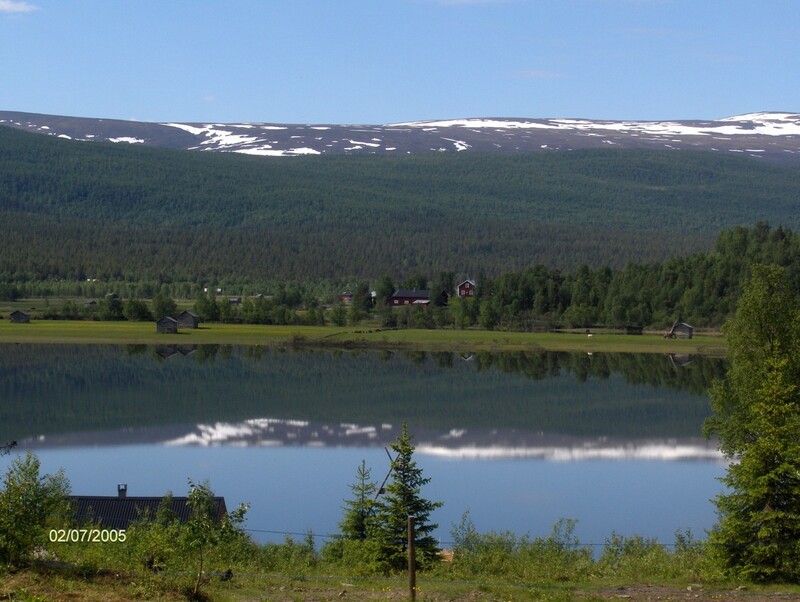 The largest part of Vindelfjällen reserve, approximately 80 per cent, is situates in the rural district of Sorsele and 20 per cent in the rural district of Storuman. The altitude varies greatly from the valleys, wich have an elevation of 500 to 600 m above sea level, to the alpine peaks that reach a height of 1500 to 1700 m above sea level. The higest mountain summit is 1766 m and the lowest part in the reserve 342 m, lies along the river banks. A network of birch forested valleys runs troughout Vindelfjällen. To the east there are expansive primeval coniferous forests. Furthermore, witin the reserve there is an abundance of lakes and streams that are not subject to water control. 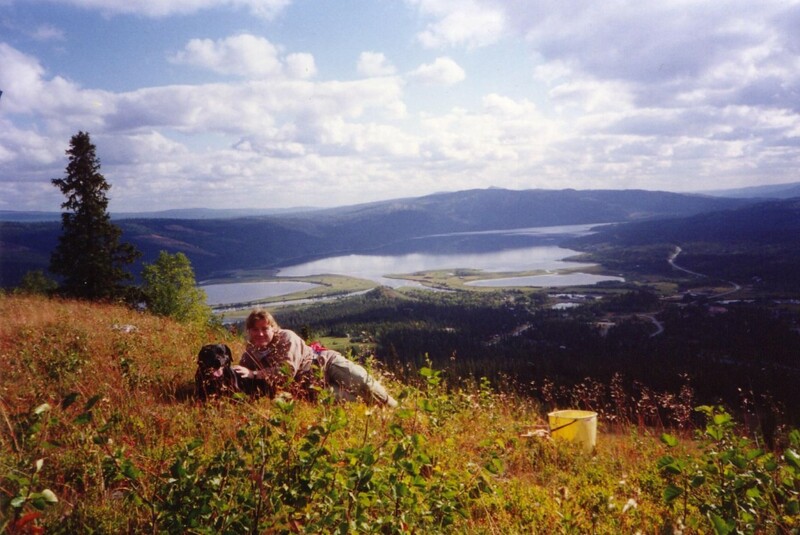 Consequently, the Vindelfjäll reserve is a wilderness area and a cornerstone for recreation and tourism in Ammarnäs. Different bedrock togheter with vaying elevation and fluctuation of climate creates a broad spectrum of environments. In Vindelfjällen, almost all types of mountain environments are represented that can be found in alpine areas - mires, birch forests and coniferous forests. Especially the abundance of limestone wich provides a habitat for a rich variety of species on the moors, where for example mountain avens abound. In the Vindel valley and in the exyensive mountain birch forest, there are large areas that have mountainbirch woods with tall herbaceous flora. Such forests with species like monkshood (Aconitum septentrionale) and tolta (Cicerbita alpina) that grow shoulder-high symbolize for many people the luschness that can be found in the mountains. Many of these plants, often in combination with each other, are preraquisites for the survivel of plants and animals that otherwisw would be extinct. Since Vindelfjällen streches from high alpine areas to the lower confierous, the variations in plant life is typical for upper Northen Sweden (Norrland) in general; however an exception is the rare plants found in the western portion of the reserve that is rich in limestone. Among these rare species are Lapsk alpros (Rhododendron lapponicum), fjällbrud (Saxifraga cotyledon), brandspira (Pedicularis flammea), fjällkrasse (Braya linearis) and blockhavsdraba (Draba cacuminum). Animal life in Vindelfjällen is rich. Wolverine, bear, lynx, elks and arctic fox are permanent residents of the area. There are also a large variety of birds, including the golden eagle and the gyrfalcon. The great grey owl can be found down in the coniferous forests. In the extensive swampy wetlands, one can find almost all of the birds that are typical for such region. Even the mountain goose (Ansererythopus) still frequents Vindelfjällen. The mountain bedrock is varied and significantly younger than the primaty Archean bedrock to the east. It consists mostly of metamorphic rocks, both schist and folded rock. Mica schist is especially common. At the foot of Stubebakte in Ammarfjället extends an impressively long, moran ridge that is quite complex and is several kilometers long. Such formation is very uncommon in the mountains. Vindelfjällen´s streams are free and unexploited. Three large streams run trough the reserve. Vindelälven (River of Vindel´n) is the largest and is one of four national rivers in Sweden. Vindelfjällen has impressive rapids and almost the entire strech of water from Vitnjul to Ammarnäs is rapids. There are houndreds of lakes in Vindelfjällen. Tärnasjön is in a class by itself and is the most interesting lake with an extensive area of small islands with long moraine ridges. A nature reserve is created partly to preserve areas of nature that are of great value and partly to ensure free acess to land for public recreation. Special regulations are posted at most of the reserves. Administration and maintenance, information and so forth are mostly paid by state funds that are procured by the National Environment Protection Board. Text: Provincial Office in Västerbotten. The reserve contributes to the preservation of the Sami culture. 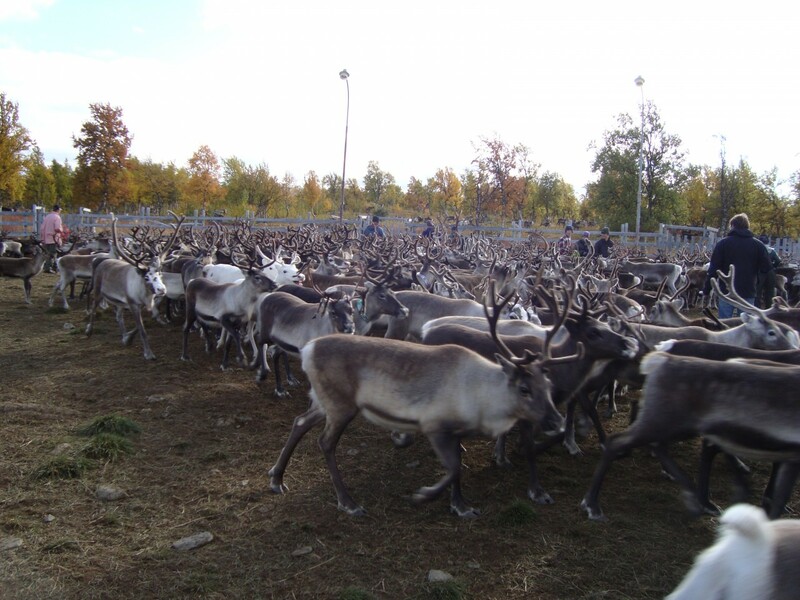 According to the Reindeer Husbandry Law, the mountains are protected for reindeer breeding. From the north, the Sami communities of Gran, Ran and Umbyn have adjacent boundary lines in Vindelfjällen for grazing and calving land. The area extends from Norway in the west to the woodland in the east. Vindelfjällen has long been known for its numerous arctic foxes. More than houndrd lairs are known. Many of them have been used for houndreds of years and consequently there are dozens of entrances to them. The arctic fox breeds only if there is an abundance of prey, such as lemmings and other rodents. During a good year 10 lairs can be occupied and between 50 and 100 fox cubs can be raised. The arctic fox is threatend of extermination and protected by law. Visitor´s center is an excelient way to begin your visit to the village Ammarnäs and Vindelfjällen. The exhibition displays the local culture, sights, hidden beauty spots as well as the landscape and its wildlife. 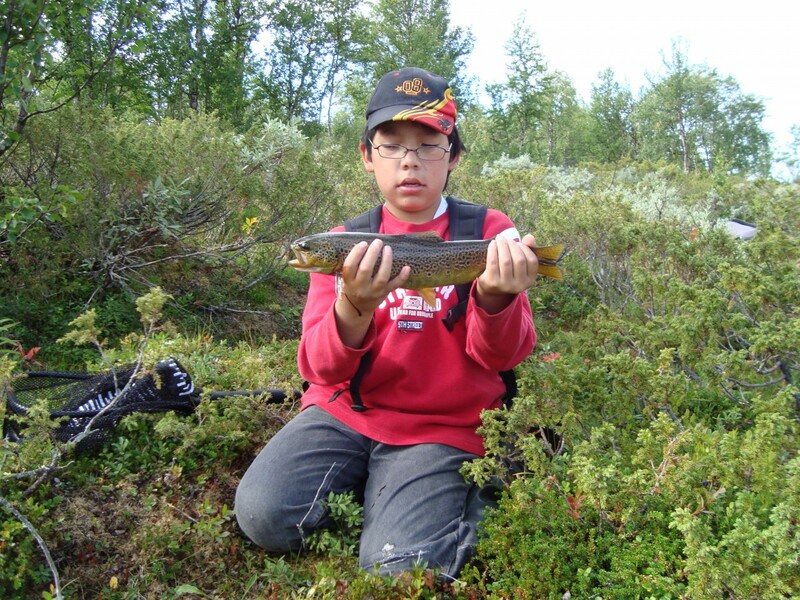 The visitor will be able to smell primieval forests, listen to fish and discover animals and birds found in the Vindelfjällen nature reserve. The staff can informe you on where to stay as well about trails and interesting places to visit. Maps, post cards and books are available for sale.